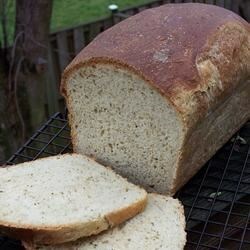 "A delicious bread machine recipe, this bread is especially good with chicken stew." Place ingredients into the pan of the bread machine in the order suggested by the manufacturer. Select Start. See how to make fragrant cheese herb bread. The smell was wonderful and it looked good but it was very bland which I was suprised about considering all the ingredients. Sorry but I would not make again.